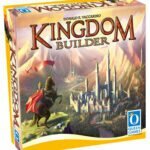 Some games seem to have been around forever and the folks at Hasbro are fortunate enough or shrewd enough to have many of them in their line-up. 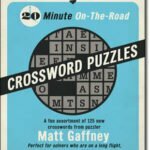 Monopoly, Sorry, Clue, The Game of Life are just a few of the titles that are, without question, lurking in closets throughout the world as well as claiming space on the shelves of game retailers across the land. And any list of evergreens like these would not be complete without including one of the mostdynamic of the bunch: Risk. Risk is one of the great, early, family targeted wargames and it has shown a longevity that many games (and other enterprises for that matter) would envy. 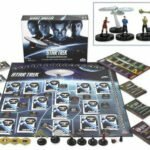 But even as successful as it has been, Hasbro has sought to reinvigorate the game to keep it fresh and appealing with new twists and turns. We’ve featured several of these redesigns in our pages over the years including Risk 2210 AD (featured in the Winter 2002 GA Report) and Risk: Black Ops (Spring 2008 GA Report). 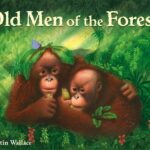 So, you might feel that, after being around for over 50 years and having already been revised, the challenge of making the game still seem fresh may seem insurmountable. 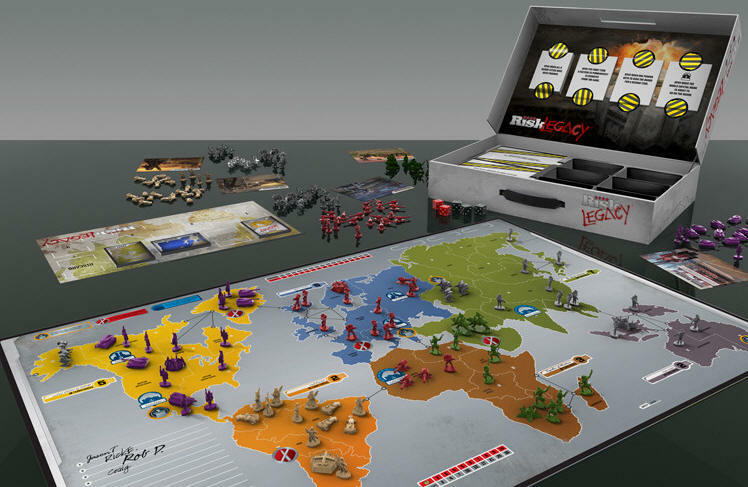 But if you think that, you’d be wrong because Risk enters a new age of game play with its newest incarnation: Risk Legacy. 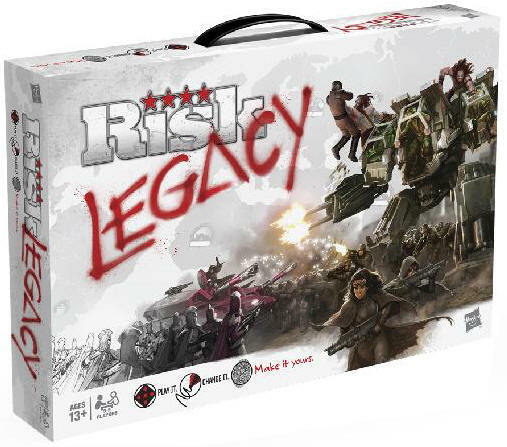 Risk Legacy, a design from Rob Daviau (who is also credited with Risk: Black Ops), comes in briefcase style packaging which should already give you an inkling that something is different here. Besides what you’ve come to expect in a Risk game (hundreds of plastic pieces, a card deck showing areas to be conquered and symbols to collect and a mounted mapboard of continents divided into territories), there is a “sideboard” used to hold and display cards, stickers to apply to the board(! ), and a rulebook that is not quite finished – at least, not quite finished yet! As the game begins, this unnamed new “Earth” is being colonized by five “Factions”, each with their own unique philosophies, abilities – and warlike tendencies. They are Die Mechaniker (heavily armored and highly defensive), Enclave of the Bear (genetically altered humans who are both savage and primitive), Imperial Balkania (“pure” humans who are highly organized and highly trained), Khan Industries (well armed but not well trained) and The Saharan Republic (warriors who fight with old equipment using guerrilla-like tactics). Each player begins with a Faction card, a set of colored-coded pieces representing military forces and Headquarters. Each Faction card is now “customized” by placing one of two available power stickers onto the Faction card giving that Faction a special power that may be used. 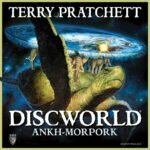 (The power not chosen is discarded and is out of the game permanently!) In addition, for the first game, all players begin with one Red Star token and are randomly dealt a “Scar” card (which can modify a Territory when played). Beginning Scar cards, for example, modify defensive die rolls for better or worse. In Risk Legacy, there are TWO types of Resource cards: Territory cards and Coin cards. Territory cards depict the name of a particular Territory on the board as well as one Coin. Before the very first game turn, 12 Coins (in the form of stickers) are placed on up to 12 different Territory cards (but no Territory may have more than 3 coins to start) making these areas more valuable and, potentially, the sites for more intense fighting. The Territory cards gaining these stickers may be chosen randomly or selectively. (As the game progresses, Territories may gain additional Coins up to a maximum of six.) The Territory cards are shuffled and four of them dealt out on the sideboard. If you manage to conquer at least 1 territory on a turn, you may claim a Resource card. (If you control any of the territories matching the cards on display, you may take that card. Otherwise, you take a Coin card. The Territory card in the fourth slot of the sideboard is now discarded, the other cards slide down a slot and a new Territory card fills in the now open slot.) So what does a turn like look? Each turn consists of five phases: Start of Turn, Join the War (or Recruit Troops), Expand & Attack (optional), Maneuver Troops (optional) and End of Turn. The first thing a player does is decide if he wants to buy a Red Star. A Red Star requires a player to turn in four Resource cards (irrespective of the Coins on them). You may buy more than one Red Star on a turn if you have the cards. Buy your fourth Red Star and you win the game immediately! (For this purpose, each HQ under your control counts as 1 Red Star.) A player may also play a Scar card now to modify a Territory. Now you either Join the War OR Recruit Troops. The Join the War option is only possible if your power has dissipated to the point that you have lost control of all your territories the previous turn. To get back into the game, you must “parachute in” HALF of your starting forces into a legal territory. (A legal territory is an unoccupied area WITHOUT scars or cities OR an unoccupied territory containing a city YOU founded in a previous game.) If there is no such legal territory, you have been eliminated. (You will have to wait for the NEXT game to get back into the fray.) 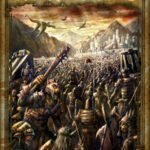 In most cases, however, you will Recruit Troops. Recruiting troops means bringing additional forces onto the board. You get these additional troops in 3 ways. First, you add the number of territories you control AND the population of your controlled areas. (Population is determined by adding cities under your control. Cities are another new wrinkle from the standard game and come into play as the game evolves.) A Minor city is worth 1, a Major city 2 and the World Capital 5). You divide that combined number by 3 and that is the number of new troops at your command. Second, you receive a bonus (specified on the board) if you control an entire continent. Finally, you may turn in cards for troops and that’s where those Coins come in. You may turn in cards totaling from 2 to 10 Coins to get more troops. New troops may be placed at once onto territories already controlled by you. Once done, you’re ready for the two optional phases of a turn. You may now expand and attack. You may move 1 or more of your troops freely into an adjacent unoccupied territory. If an unoccupied territory also contains a city, you lose troops equal to the value of the city (1, 2 or 5). If the territory you covet is occupied, however, you need to follow the traditional Risk dice roll procedure by committing up to 3 troops on offense versus 1 or 2 defending forces with high die rolls defeat lower rolls. 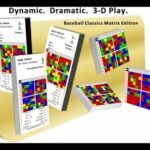 (For example, an attacking roll of 6, 5, 4 will defeat a defending roll of 5, 3 as the attacking 6 defeats the defending 5 and the attacking 5 defeats the defending 3. 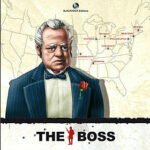 “Excess” dice are ignored.) Defeated troops are removed from the board. As the game evolves, die rolls can be modified due to the presence of fortifications, missiles and special powers. Fortifications are “energy shields” around a city making expansion or attacking into a territory containing one more difficult. Missiles (earned by players in various ways including starting with one missile IF you have won one or more previous Risk Legacy games) can be spent to transform a die roll into a 6! Multiple missiles may be used in a battle and even players NOT directly involved in the fight may use them to affect the outcome! After resolving combat, the attacker may attack again to remove more enemy troops. If an attack has ended and no more defending troops exist in the area, the attacker may “maneuver” and move as many troops as wanted from one adjacent area into another. Finally, at the end of a turn, some scars may be triggered and take effect. Destroy a Territory card – Remove a territory card from the deck and mark the area on the board so that it is known that no card exists for that area. But, if you have managed to stay in the game without winning, not all is lost. You still earn a bonus for yourself: either name and found a minor city OR upgrade a territory you controlled at the end of the game by 1 coin. After the 15th game and after all rewards are chosen, the player who has won the most out of the 15 games played (as noted by having his name appear on the board the most times) gets to name the planet! Now, further games of Risk: Legacy will be played in this new world that arose from the cumulative decisions of the 15 rounds of play. 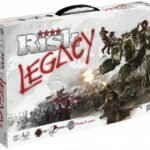 Risk: Legacy is a new way to play Risk. 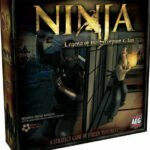 The surprise packages are fun to open when allowed (no “advance peeking” please) but, of course, they lose the “surprise” once opened and will not deliver the same “kick” if an experienced player comes across them in another Risk Legacy game. The ability to win a game with 4 Red Stars (as opposed to the unending dice rolling of the original) allows games to come to a conclusion in a reasonable amount of time. But dice rolling is a consideration here. There is still lots of it and dice remain a significant aspect of the game. While the same group of gamers need not participate in every one of the 15 rounds/games that make up the larger experience, the game works best with the same contingent of players to maintain a certain consistency in being able to carry over successes, failures and rivalries from one round to the next. The ability to transform the game world as the game evolves gives a roleplaying feel to the game dynamics and is a key factor to the game’s uniqueness but at a cost. All of the writing on the board, the application of stickers, the destruction of cards all conspire to make the purist/game collector in us cringe. Pristine condition is impossible to maintain if you plan on actually playing the game! 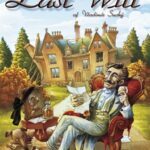 But Risk Legacy offers something new, something unexpected and something fun which makes it a surprise package worth opening – and playing!